Simple definition of the type of beam and its loading with visual check. Calculation of reactions in supports. Calculation of minimum / maximum bending moment, stress and deflection of the beam. Calculation and graphic illustration of the moment, stress, deflection and bending angle of the loaded beam. 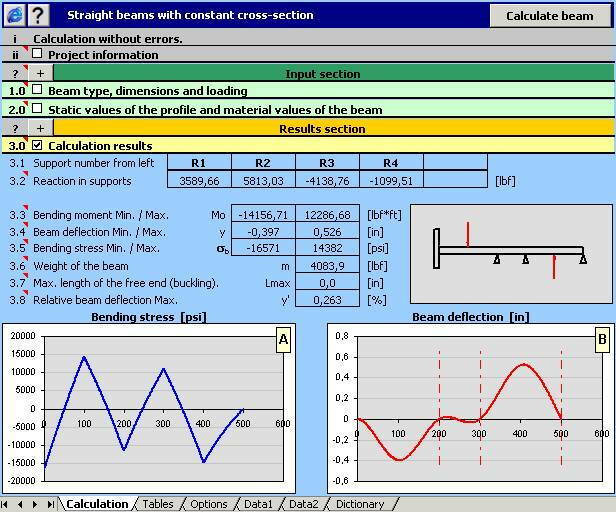 * MITCalc Beam Calculation download link provides trial version of the software. This calculation deals with the deflection, stress and variation of forces in the loaded flat plates. 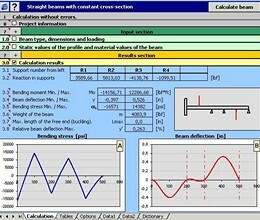 MITCalc Beam Calculation has been rated 2.3 out of 5 points. A total of 3 votes cast and 0 users reviewed the software.